– Grab a 5 kg/11lb dumbbell in each hand with a hand position like holding a shopping bag. – Move the dumbbells individually towards the chest like you are drawing a half-circle in the air. While curling, twist the dumbbells so that when they reach the top, they are in a horizontal position facing you. – Keep a steady upright body position with slightly bended knees to avoid swinging and back pain. – Make 3 sets of 20, 16 and 12 repetitions (that’s 10, 8 and 6 on each hand). After you feel the need to start with a heavier dumbbell, let’s say 8 kg (17lb), make the second set 11 kg (24lb) and the third set 14 kg (30lb). Make another increase as you progress further. Many people prefer to do this exercise in front of the mirror. As much as it is motivational, it is also distracting. Looking at your biceps while exercising them can pump up additional power because you see great results in motion. That can also be distracting as you are not concentrated on proper movement, but on how the biceps look. 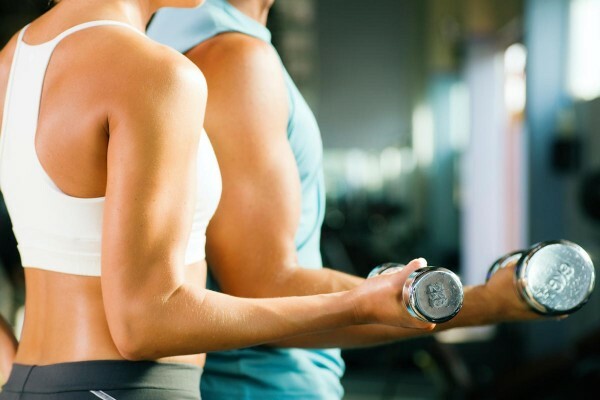 Try to make a biceps workout with closed eyes; it will eliminate one sense for a moment, and increase concentration on proper arm movements and an upright body with no swings while curling. Thank you so much to get a quite obvious and advantageous publish. I am most certainly a violator of lots of these rules. I often locate myself personally conflicted when writing a weblog put up because I see personally writing more than men and women prefer to go through, but I come to feel that I must do the subject matter justice by totally covering it. I really feel that by following a few of these policies I conclude up reducing out critical factors towards the dialogue. I guess you have got to come across a stability.